Fear is a lower vibratory frequency which includes anger, worry, doubt and other such emotions. Anything other than love falls into the fear category. It can keep you from connecting to your inner self or guidance. Fear has no power over you unless you allow it. We are powerful beings. We create the world around us through agreements as to how things will be but have autonomy over ourselves, what we allow in our space and what we allow others to do to us. Depending on the situation, there are several ways to release fear. If you are a clairvoyant (able to see things and beings with your eyes open or closed that others cannot normally see), several things can be of assistance. You can say to a being, “You have no power over me. Be gone.” You can also command the individual to leave or you can give them a clown face and laugh. Laughter raises your vibration and takes you out of lower frequencies. What you see will be gone. Another alternative is to drop it down your grounding cord which extends down from the tip of your tailbone into the earth where whatever it was is dissipated. Whatever is frightening you is made up of energy. Energy cannot be destroyed; it can only be changed. You can take what you see into your third eye and recognize it for what it is; energy. If you hear voices in your head or if it seems as if someone is talking to you, such as calling your name, or saying unsupportive things, don’t take it personally. You may be picking up on a conversation from somewhere in your neighborhood. It may also be a step back into another time period, hearing a previous conversation that played out on your property. Usually, they cannot hear you. To stop the conversation or unsupported thoughts, drop it down your grounding cord or use laughter to take you into a higher vibration. Another option is to imagine a radio in front of you. Reach out with one of your hands or create an etheric hand and change the channel to the present time. If you feel or sense unsupportive energy, you can use some of the above solutions, such as commanding it to leave. If it is someone else’s energy, return it to the sender with unconditional love. These are just some of the things that have worked for me. It is important to have several tools. What works today might not work tomorrow. You can also use your imagination. If it is something that has worked on the third dimension for you, then it should also work in any of these situations. You must believe it will work and eliminate all doubt; otherwise, it probably will not work. 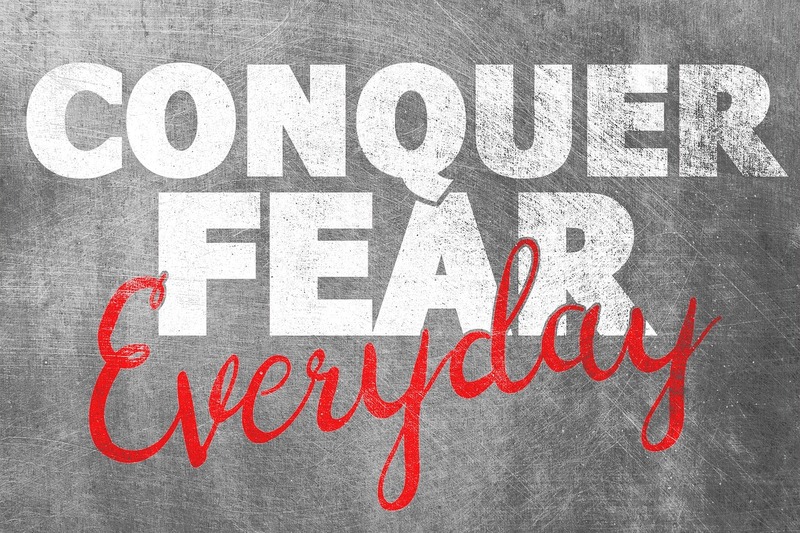 conquer fear, tools to overcome fear. Bookmark.